Vietnam ranks third in the world for fish production, however, not much information is available on the domestic consumption of food fish. 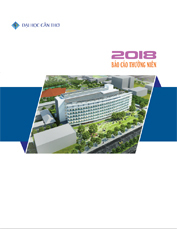 This study was aimed to analyze the current situation and trend of food fish consumption of households in the Mekong Delta where is considered the leading producer of fish in Vietnam. The results show that there were some differences in consuming food fish between the households in urban and coastal areas, ethnic groups, as well as inland and coastal areas. Freshwater fish were consumed more than marine fish while fresh fish was the most common type. There were 6 factors those significantly influenced the amount of fish used per capita at ? = 5% at the same time. The most difficulties for food fish consumption consisted of: (i) increasing price of food fish; and (ii) uncertainty in quality of food fish. The consumers looked forward to having more appropriate and stable price of fish, as well as a better management of fish quality.